Tracking down the best vegan oatmeal raisin cookie recipe can turn into a lifetime quest, but it doesn't have to be so taxing. If you have an idea of which egg substitutes work best for cookies and the flavor of a butter substitute you like most, you're well on your way to finding or crafting that elusive recipe. 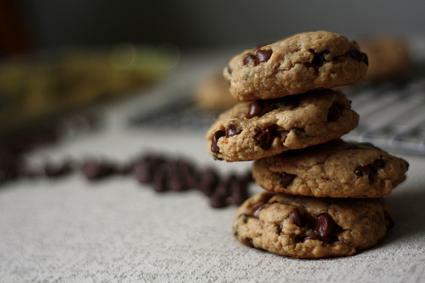 Oatmeal raisin cookies have earned a reputation as a healthy dessert, but the truth is they can be stuffed just as full of fat and calories as the more popular chocolate-chip or sugar cookies. Pinning them down as healthy fare also downplays their fantastic taste. The best vegan oatmeal raisin cookie recipe yields cookies that not too sweet, crisp on the outside but chewy on the inside, with plump raisins and an appealing hint of cinnamon. It's tough to satisfy all of those criteria, but give the following recipe a try and then tweak ingredient amounts or substitutes to your liking. 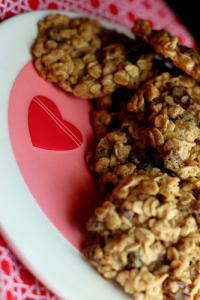 The below recipe is based on a version from VeganYumYum and makes a batch of about three dozen medium-sized cookies. Place your raisins in a small bowl. Heat several cups of water on the stovetop, and pour the hot water over the raisins. Let them sit to plump for about five minutes. Whisk the ground flaxseeds with the 6 T. water. Combine the margarine, brown sugar, granulated sugar, and vanilla in a large bowl. Using a stand mixer or hand mixer, beat the ingredients for at least 60 seconds or until they turn light and fluffy. Add the ground flaxseeds and water (or another substitute equivalent to two eggs). Beat the mixture again until the egg substitute is completely incorporated. In a separate bowl, combine the flours, cinnamon, baking soda, salt, and oats. Slowly combine the flour mixture with the wet ingredients. 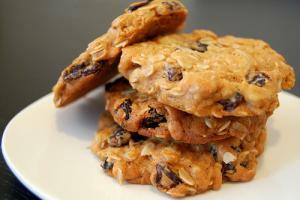 When you have a uniform batter, fold in the raisins and chocolate chips. Gather large spoonfuls of the batter and place them about two inches apart on the prepared cookie sheets. Bake the cookies for about 15 minutes or until the edges are crisp and golden brown. Let the cookies cool for several minutes before transferring to a wire rack. Store any uneaten cookies in an airtight container. Finally, make sure to have a tall, cool glass of soy milk or other non-dairy milk on hand so you can enjoy a cookie right out of the oven!